What is Life? That is a question, I have asked myself many times over the last few years. Now that I’m a bit more advanced in age, this question becomes more frequent. What is Life? Why am I here? What is the purpose of Life? I have seen some of my friends pass on in the last few years and one begins to wonder, why and what happened to them? I remember those who have passed, when they were younger, full of life and energy, vibrant and driven. Some of my friends were taken by cancer or some other illness. Death is something most people don’t think about in the younger years. In our youth some of us thought we are invincible and the thought of maybe one day ending up with something like cancer really never entered the mind. Who wants to think about death, or which way we may die? Death is so final. Everyone of us will have to face death one day, sooner or later. The statistics on death are pretty overwhelming, one out of one will die. No exceptions made. There are those, who believe, that when a person dies, they cease to exist. Those who believe that, are those who also believe, that mankind came to be by chance, by accident. Humans came to be as part of a long process, known as evolution. Some 4.6 billion years ago, some cosmic event, aka the big bang, caused the universe and the earth to be formed. Every plant life and every living creature slowly started to evolve, into what we see today. All this happened through the process of natural selection, according to the theory of Darwin. Personally, I can not buy into the theory of evolution. To evolutionist, life came about by chance. They do not believe in creation, or that there is something after death. They believe, once a person dies, there is nothingness and nothing more. We simply cease to exist. I believe that life is precious and that we were wonderfully made by a loving Creator. I believe in a God that created the universe and everything in it. We are no accident or just here by chance. We are here for a purpose and we were created for Him and by Him. Atheist, state that there is no God. Atheist believe in themselves and mankind. They believe that all the problems in the world can be be fixed by man. They don’t need or want God. For them there is no higher authority, no deity, no one that will hold them accountable on the day they die. They don’t believe that there is a thing like heaven or hell, judgment or eternal life. A life without God, makes no sense to me. A life without a future or hope. I believe that somehow, we all have eternity written on our hearts. No one, wants to grow old and eventually die, if given the choice. We long for life. Am I to believe, that I am here for 70 to 80+ years and then nothing? Was I just born, to live a life that is filled with trials and tribulations, a life of laughter and tears, a life of happiness and sadness, to one day just die? I am no accident and you are no accident. You and I were created by a loving God. When God first created Adam and Eve, he created them as eternal beings. Death came about when Adam and Eve disobeyed God in the garden. This one-act of disobedience resulted in death, a spiritual death, a disconnect from God. It also brought forth physical death, and from that day on, all of creation was and is subject to death and decay. That is the glorious hope that every believer in Jesus Christ has. Jesus defeated death on the cross and he has promised eternal life to all who believe in him by faith. By believing in Jesus as Lord and Savior he has reconciled us to God the father through his death and resurrection. He closed the spiritual gap that existed between mankind and God. Because of what Jesus did for us, we once again can have fellowship with God, as it was in the beginning before the fall. 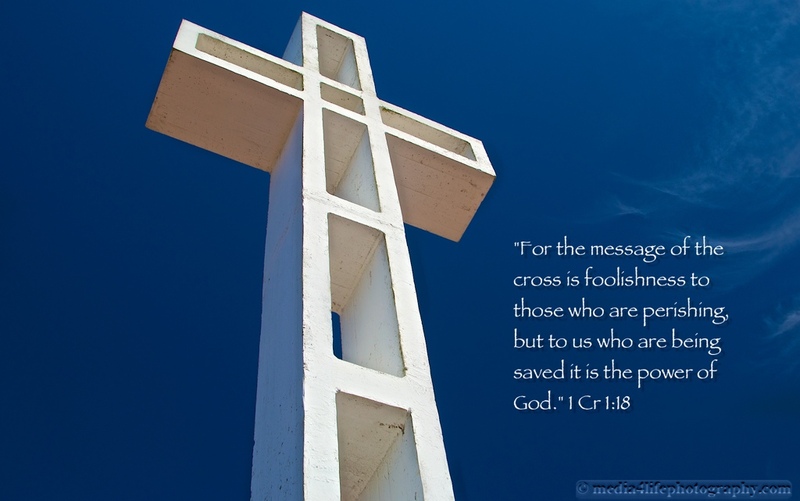 Unfortunately, there are many who do not believe in Jesus and His finished work on the cross. 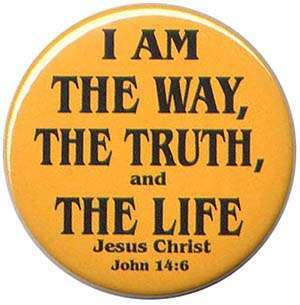 They refuse to believe and to receive the free gift of life, that Jesus promised to all those who believe. They rather buy into the theory of evolution, discarding creation and God. They are what the Bible calls, “the natural man” who live after the desires of the flesh, having no understanding of spiritual things. “But the natural man does not receive the things of the Spirit of God, for they are foolishness to him; nor can he know them, because they are spiritually discerned.” 1Corinthians 2:14. Of course I cannot prove that there is life after death and neither can they disprove it. I believe by faith, just as atheist or evolutionist believe by faith that there is no God. Frankly, I do not have enough faith to be an Atheist or to believe in evolution. What is life? That is the question that Atheist and those who do not believe in the promises of God should ask themselves. What happens after they die, will there be darkness or is it not possible that there is more? 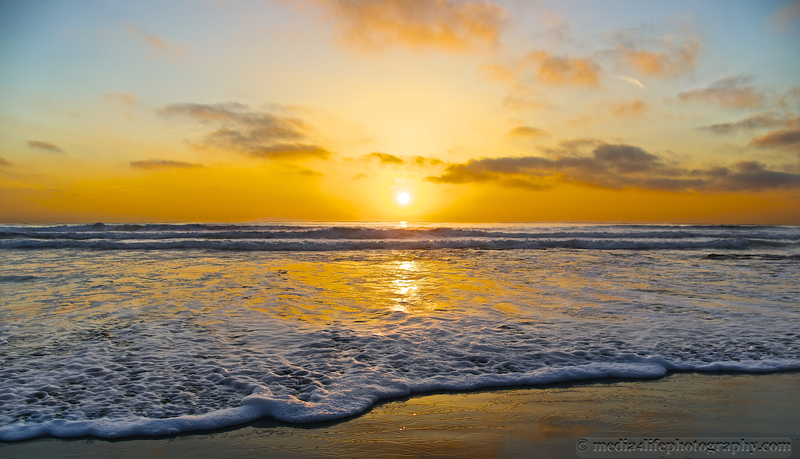 What if all we believers in Jesus are right, when we talk about eternal life? What if we are right, about Jesus and what His death on the cross has accomplished for those who believe by faith? Life is nothing but a fleeting moment and there will come a day when we will face death. As a believer, I do not fear death, because I have already received eternal life, because of my faith in Jesus. “And as Moses lifted up the serpent in the wilderness, even so must the Son of Man be lifted up, that whoever believes in Him should not perish but have eternal life. And this is the condemnation, that the light has come into the world, and men loved darkness rather than light, because their deeds were evil. For everyone practicing evil hates the light and does not come to the light, lest his deeds should be exposed. Author Media 4 Life MinistriesPosted on June 6, 2014 July 29, 2018 Categories Bible, Biblical Perspectives, Christianity, Faith, Jesus Christ, Salvation, SpiritualTags Atheist, believe, Big Bang, Christian, Christianity, Creation, Eternal Life, eternity, Evolution, Evolutionist, Faith, forgiveness, Genesis, God, grace, Heaven, Holy Spirit, Jesus, Jesus Christ, John 3:16, judgment, Life, Lord, Love, mercy, Messiah, Paradise, peace, Religion, sacrifice, Salvation, Savior, sin, to overcome Lust Greed Pride satisfaction emptiness love Grace mercy, Universe, world wisdom1 Comment on What is Life? The liberal media calls him courageous for coming out. Really? What’s so courageous about it? The media, fellow athletes are mostly supporting him, praising him, which is fine by me, but to call coming out of the closet courageous goes too far for me. I wonder if his girlfriend/fiancée Carolyn Moos for the past eight years, who had hopes of marriage, children and a future with him thinks that he is a courageous man. Oh sure, on the networks she commented him for being so honest and seems to be supported of him. I’ll bet you that inside, her heart is broken in two. Jason Collins, another great role model for our children, who look up to people like him and other sports celebrities. Even President Obama and the first Lady spoke about the courage and full heartily embraced the news about Collins coming out on the news and their social network sites. I thought the job of the President is to protect and govern this country rather than furthering the agenda of certain like minded people. Btw, still no real answers on Benghazi. The liberal media just drools over this story, giving a voice to those who come on their shows to further their lifestyle and promote it as something good and to be proud of. At the same time, people with a different view or opinion on homosexuality are being mocked and ridiculed as bigots by the liberal media. The liberals may all Jason Collins a man of courage. For me courageous people are those who put the lives in harm’s way, like NFL player Pat Tilman who went to Afghanistan and lost his life doing so. The men and women of the Police and Fire departments come to mind, who are putting their lives on the line when it come to facing danger. I remember the first responders on 9/11 who despite the danger went up the stairs of the Twin towers. 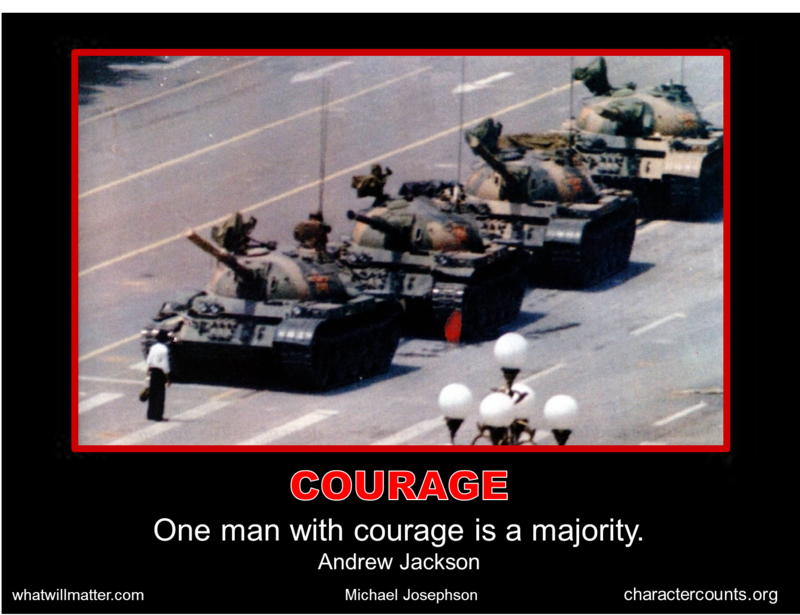 That is true courage and those are the once that should be role models to all of us. Recently we had many courageous people at the Boston Marathon. That to me is courage, people who despite the danger of loosing their own life came to the aid of those who were wounded and in imminent danger. There were many courageous people throughout history, too many to list, so I name a few. Dietrich Bonhoeffer, Dr Martin Luther King, Mother Teresa, Nelson Mandela, Winston Churchill, Rosa Parks and many more. True people of courage. Courage: That quality of mind which enables one to encounter danger and difficulties with firmness, or without fear, or fainting of heart; valor; boldness; resolution. “Rejoice greatly, O daughter of Zion! Shout, O daughter of Jerusalem! Behold, your King is coming to you; He is just and having salvation, Lowly and riding on a donkey, A colt, the foal of a donkey. Zech 9:9. Today we celebrated the triumphant entry of Jesus into the City of David, Jerusalem. His arrival was not any arrival, He had gone to feast of Passover before, but this was the day the Lord had made. It was God’s divinely appointed day. Jesus would be crucified a few days later on Passover, the sacrificial lamb of God, the One that Abraham spoke of when he was asked to sacrifice Issac. “The Lord will provide a sacrifice.” Gen 22:8. Jesus was that lamb on Mount Moriah 2000 years later. Our propitiation. By His stripes we are healed. By His blood we are cleansed and forgiven and have eternal life. Give thanks to the Lord, for He is good. Author Media 4 Life MinistriesPosted on March 24, 2013 March 9, 2014 Categories Apologetics, Believe, Bible, Biblical Perspectives, Christianity, Eschatology, Faith, Jesus Christ, Salvation, Spiritual, Sunsets, WisdomTags Abraham, Agape, Bible, blood, Christ, Christ Jesus, Christian, Christianity, cross, Crucifixion, deception, Faith, forgiveness, God, grace, Holy Spirit, Israel, Jesus, Jesus Christ, John 3:16, Lord, Love, mercy, Messiah, sacrifice, Salvation, Savior, Trinity, truth, Word7 Comments on This is the day the LORD has made.